UFC Lightweight champion Khabib Nurmagomedov has insisted that Conor McGregor does not deserve a rematch with him after his submission victory over the Dubliner in October. Nurmagomedov defeated McGregor in comprehensive fashion at UFC 229 and has called for a rematch with the undisputed champion as he looks to reclaim his lightweight crown. 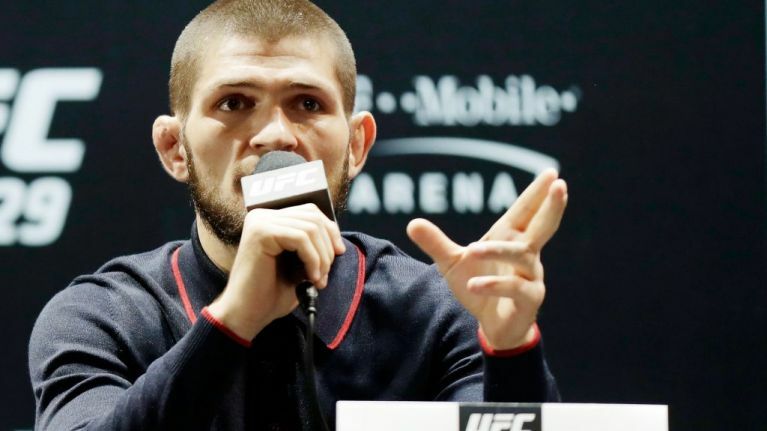 UFC President Dana White said that a rematch between the two should happen in 2019 but Nurmagomedov fails to see why the former two-weight champion deserves a second crack at him. Both Nurmagomedov and McGregor will appear before the Nevada State Athletic Commission to face a disciplinary hearing for their actions immediately after UFC 229 with both fighters embroiled in a post-fight brawl. White also mentioned Max Holloway and Tony Ferguson as possible contenders for the fight but said that the UFC will wait to see how the disciplinary hearing fares before making a decision on the next fight. "Again, we still haven’t gone before the Nevada State Athletic Commission, that’s got to happen," he told TMZ earlier this month. "And when that does we can figure out how this whole thing plays out. Is Max (Holloway) moving to 55? You have Tony Ferguson is obviously in the mix. So we have to see how this things plays out."